The Worldwide Photography Gala Awards invite photographers from all over the world to submit their work to be featured in the book The Beauty Around Us and win B&H gift certificates or equivalent cash. There is no initial entry fee for this competition. Only those series accepted will pay an entry fee. We want to see and select images related to the broadest definition of beauty: The quality that gives pleasure to the mind or senses and is associated with such properties as harmony of form or color, excellence of artistry, truthfulness, and originality. We want images portraiting beauty in the face or the figure of a human being, in our neighborhood, in a seascape or a foggy landscape, in the colors and forms of an awesome texture. Or perhaps it is the flight of a buttlerfly or the perfection of a flower; the joy of a child or the happiness of a family meeting. We want images that just by looking at them give us a feeling that beauty is around us. Both color and black and white (including duotones, toned, and all kind of alternative processes) will be accepted to be screened. All kind of processes, including digital manipulation will be accepted. IMPORTANT: Please make a note that we require at least 3 images to be submitted in order to be able to do a deeper analysis of the work performed by the artist. There will be two screenings. Selection will be done by WPGA’s artistic and editorial staff. The first screening will be conducted to accept or reject the submitted works. There’s is no entry fee to submit your series to the first screening, and you must submit a minimum of 3 images and can submit up to 12 images. You may pass the first screening with only 1 image but by requesting at least 3 images we want to have an insight of the work done by the artist rather than an individual shot; that’s why we’re asking for at least 3 images. It doesn’t mean that you have to submit a series or a coherent or thematic body of work. All images representing Beauty are entitled to be submitted, even if it just an abstract pattern of colors. Within 1 week after the reception of the images sent for consideration of the jurors in the first screening, submitters will be notified by email detailing which series have been accepted and which have been rejected. Together with the notification’s email a brief structured feedback will be provided. Accepted images in the first screening will be included in the second screening and entered in the competition. Those works which passed the first screening will be exhibited for one year in the online WonderPick gallery, and available for sale. During the second screening, 80-100 images will be selected to be featured in book The Beauty Around Us. PRIZE DETAILS: Best Image of Show (to be featured in the book cover): $ 500 B&H gift certificate or equivalent cash. Runner up (to be featured in the book back cover) $ 300 B&H gift certificate or equivalent cash. 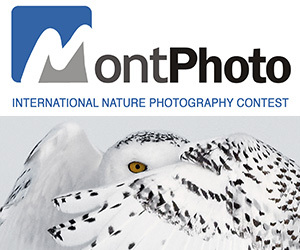 ELIGIBILITY: Photographers, pro and non pro, from all over the world Not eligible to enter? - Find contest where you are. COPYRIGHT: Artists are the only owner of the copyright their images USAGE RIGHTS: Submitted photographs may be reproduced for the purpose of marketing and promoting WPGA contests and awards, in catalogs, posters, postcards, publications, and on the Internet. 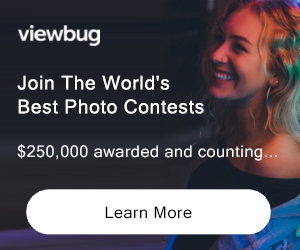 Such use is granted for not more than two years after the announcement of the awards and without payment to the photographer of featured models. Photographers will receive photo credit with each use, and will allow WPGA to sub-license their photographs to the press for reproduction in connection with the contests and WPGA exhibitions.